Jump on your bike and explore Oregon’s Emerald City. Venture north to Downtown’s eclectic shops and call in at the legendary thrift store Lazar’s Bazar, then meet friends for dinner and drinks in the Barmuda Triangle; there are four blocks of buzzing bars around Olive and West Broadway, so start at the Horsehead Bar, and finish at The Starlight Lounge. Sports fans can join legions of devoted Ducks for exciting home games, or escape to the rustic trails beside the Willamette River. 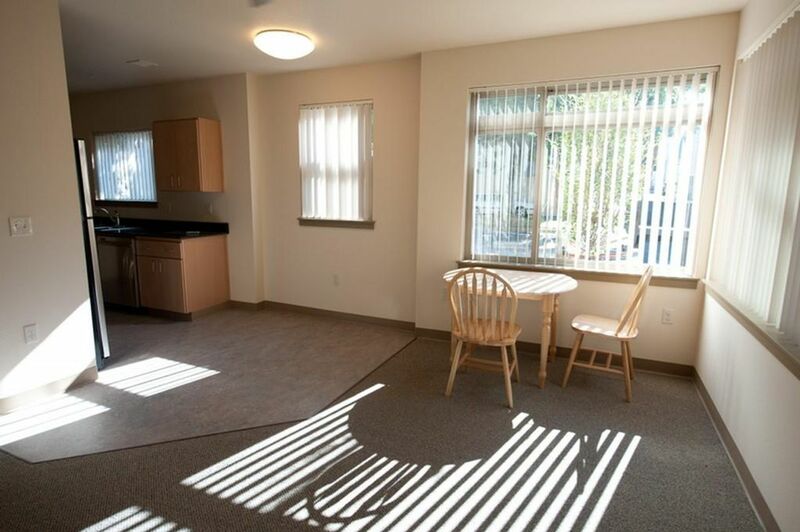 You couldn’t live much closer to college, with the University of Oregon campus just half a block from your apartment in peaceful South Eugene. It’s a 20-minute walk to Downtown Eugene, but cycling is the best way to get around. Don’t forget, Eugene is one of the greenest cities in the US - and your new home is an eco-friendly building with Earth Advantage Certification. 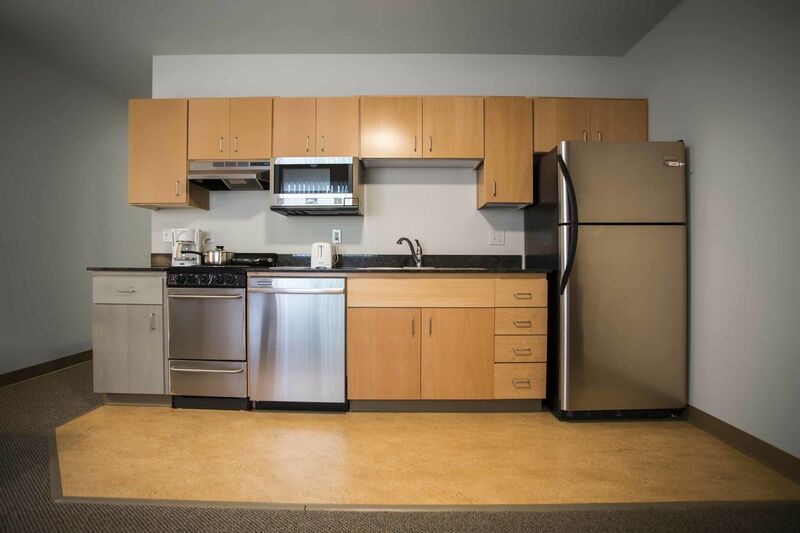 Back home at The Sonja, stow your bike in the secure storage area, then go upstairs to your apartment, where you can throw your sports gear in the full-size washer/dryer and take a hot shower in your designer bathroom. Fix dinner in your fully-equipped kitchen - the open plan layout makes it easy to chat to your roommates while you cook up a storm, and you can fill your fridge in the nearby supermarket. After you’ve eaten, head down to the social room and bond with your new neighbors while watching the big game on the high-definition TV, or escape to the communal study room to wrap up your latest assignment. If you prefer to work alone, most bedrooms have built-in desks, and there’s free Wi-Fi throughout the property so it’s just as easy to work in the internal courtyard if you want to set up a study group. When you need a break from assignments, let off some steam in the fitness center, then relax with your roommates in your spacious communal living area and watch TV. Your apartment is flooded with natural light thanks to the high ceilings and huge windows, so it always feels airy and spacious, even if you’re sharing with four others. Plus, with some of your bills included in the rent, living at The Sonja makes it easy to keep track of your student budget. Wir haben leider keine Unterkunft gefunden, die deinen Wünschen entspricht.Alle Privatzimmer in The Sonja - Element Communities ansehen.